To find out our candidates’ thoughts about public space in our city, Vancouver Votes sent out surveys to the mayoral candidates. A few have replied, and we’re now posting them. You can see the original survey (Vancouver Votes’ Candidates Survey) here. 1. Do you see the need to develop a large public gathering space in Downtown Vancouver? If so, how would you support such an initiative? Victor Paquette, Independent – Unfortunately, Downtown Vancouver cannot provide a single, large public gathering space. I feel that BC place can provide such a gathering space. With a retractable roof or otherwise when rain is forecasted, this location is ideal in that it is safe, functional and accessible..
Dubgee, Independent – I don’t see the need for a larger space than we already have. Bigger parties always result in bigger problems. I enjoy (especially after the Stanley Cup Debauchery) more intimate spaces. Part of my platform is to increase artist creation spaces (studios) which double as a place to create art and then show and demonstrate art and it’s practices. I also really like the idea of a skytrain party. Gregor Robertson, Vision Vancouver – Vision Vancouver commits to begin discussions on a new public square downtown. Building on the public’s desire to celebrate downtown as shown by the 2010 Olympic Games we will create a new public square downtown. 2. If elected, what would you do to enhance public space in Vancouver to improve the experience throughout the year, day and night – specifically in the dark, wet winter months? Menard Caissy, Re Party VanCouver – I’d legislate Council’s ability to non-regalate or tax public spaces, community amenties (planning process & law Langara Student) are actually defined in LGA (Local Government Act ) as Bonus Density worded differently mean MILLIONS of dollars that developers in Vancouver have to build public spaces for 25 Million in some cases to get a huge break on their develpment fees. I would legislate Counicl to spend every dollar on FREE Public Spaces for Condo Projects in Vancouver. Poor people can’t even enjoy their own spaces for free anymore. Victor Paquette, Independent – I think eliminating bus traffic on Granville street would enhance that whole area. Buses should be rooted on Howe and Seymour streets. There should be less vehicular traffic, leaving pedestrians to wonder more freely. Some buildings in Gastown use a lighting system to highlight architectural definitions. Other structures throughout the city could be encouraged to copy this trend. Canada place is another structure that uses lights effectively. Golok Buday, Independent – Spend a lot of time out there? There are a lot of public spaces, not much non-public to use for this. It would be nice to see the parks board abolish and put the responsibilities invested in city hall. This would make it easier as an issue for a Mayor. Dubgee, Independent – I would enhance public space by providing housing for the homeless. I would also like the city to accommodate Granville Street and the downtown core with Public Washrooms like they have done in Victoria. Gregor Robertson, Vision Vancouver – Vision Vancouver would continue the VIVA Vancouver model which is based on best practices learned from three public space pilot projects that re-imagined public spaces in innovative ways: Summer Spaces 2009, the 2010 Olympic Pedestrian Corridors and Rediscover Granville in 2010. These very successful programs repurposed street, parking and other spaces for public use. Suzanne Anton, NPA – Same answer as above. I would also consult with tourism stakeholders regarding more opportunities to promote our public spaces to visitors and convention delegates. 3. In the aftermath of the Stanley Cup Riots, there were calls to limit or prevent large gatherings in Vancouver. How do you think that the City should balance the need for safety and security with the desire of many residents to attend public gatherings within the city? Menard Caissy, Re Party VanCouver – I would arange for CSIS to have officers help us map a strategy for large gatherings like the Canucks riot. First of all, I’d have a police chief and police board with enough brains to have enough officers on the ground. They didn’t care. I’m a Delegate for the VPD Board I missed that days meeting because I was at the riot, I spoke to RCMP and VPD officers they seemed relaxed. Then they lost. Mayhem , two hundred people to one Officer? Victor Paquette, Independent – Unfortunately our mayor and police chief do not comprehend the psychological make up of different crowds. It is very unlikely that a crowd going to a symphony would break out into a riot, A crowd of Olympic goers would also respect the rule of law. This can’t be said about aggressive sport fans all riled up on alcohol. This concept has eluded city hall and the police department. Balance the need for safety according to type of crowd participates at a particular event. Golok Buday, Independent – I don’t think the Government should have too many people in one public area, especially in situations like sporting events. People could guard their personal security if armed law abiding persons were not being harassed by cops for having a tool for personal security. I think people are more dangerous in big numbers than as individuals. Social occurrences will occur no matter what. But millions of people, go to the stadium (not state funded, my ideal). Dubgee, Independent – We need to go back to Plan A, whatever that was. Security for large public events hasn’t been an issue before and it won’t be again. As a security guard who worked many different events including the infamous Monster Truck Rallies at BC Place I know that each event requires a completely different security protocol and plan. With regards to the Riots I would just like to mention that Boston had the National Guard ready during game 6 in Boston in the event of a loss. It’s also important to note that youth angst in the Lower Mainland is not something that politicians were talking about but I believe it was a huge factor in these riots. Cuts to arts programs and counselling services in our school system also played a part in these riots. Gregor Robertson, Vision Vancouver – Vision Vancouver committed to providing an opportunity for the public to celebrate downtown and will continue to balance the desire to celebrate and the need for public safety. Suzanne Anton, NPA – The first thing we need to do to strike the balance is to make sure everyone knows from the start who is accountable for decision-making. When I am Mayor, the buck will clearly start and stop with me. I think we can strike the balance by making sure all plans are debated at City Council instead of the backroom. I also believe we need to really learn lessons from the past – particularly as it relates to the location of large-screens and the availability of alcohol. It was very disappointing to discover the 1994 Riot reports were not read by the Mayor. 4. What do you think needs to be done in order to move people around Vancouver in a more active and sustainable way? Menard Caissy, Re Party VanCouver – I promote as the next mayor of Vancouver the Broadway Corridor, Un-Privatize Translink Christy Clark if you really put Families First! Their using the Evergreen Line as an ecuse to pay for the new Fair Gates, persons with disabilities bus pass is as thin as paper, they can’t even access the train! Victor Paquette, Independent – Encourage people to take out their bikes therefor increase bike lanes. Golok Buday, Independent – Sustainable is a buzz word. The law of thermal dynamics may make nothing really sustainable. In terms of Government it could wither away fast. No fiat way, we need to demand elected county Government and maybe municipal control of it’s own transit even cutting 1% of fat like Cummings suggested, I would like to leave office cutting more than that. I suggest taking city politician car allowances away and a 3 year bus pass replace it. The rest is in their pockets. I would criticise how it is handled, like the two Night 4s and the hard access to and from East Van at night, ration of Davie to Powell buses, etc…. Dubgee, Independent – We need public transportation that is planned by its riders and users rather than big business and politicians that don’t use it. Gregor Robertson, Vision Vancouver – Working in close co-operation with residents and businesses, we will continue to grow the bike network to improve accessibility, safety and convenience for cyclists. We will also implement a bike-sharing program. 5. Vancouver voters select their city councillors at-large, which means that they lack strong neighbourhood representation. What are some solutions that you would support for the creation of greater neighbourhood representation in civic politics? 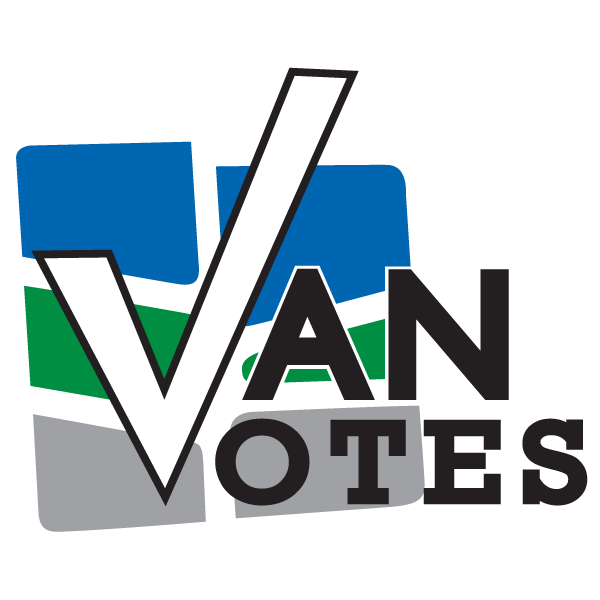 Menard Caissy, Re Party VanCouver – To increase greater representation of neighbourhood oppertunity in civic politics I as Mayor of Vancouver would switch to the ward system which means 12-14 Counicl Candidates as oposed to 10. We are all so out of touch with Voters in Vancouver that we have got to sustain density and diversity within our population. City Counil meetings are like watching paint dry, like our own Taxpayers and Citizens don’t even show up to speak or see what’s happening with their money. Example most Council Meetings, 25 News Reporters and 10 Camera People all from various media reps and they don’t even talk to anybody but Vision or the NPA. You can ask for a bit, but they just pretend they’re taking notes. We’ve all tried. They’re actually intimidated into not speaking to Candidates who aren’t Millionaires. Change the elections Act and the Vancouver Charter or watch out. Props to Darrell Zimmerman acually changing the scene! More of protester thing to do but it worked, I envy him for that. I wish I was on the National News and front page. Corporations didn’t plan on Occupy Vancouver taking place just before our BC Municipal Elections now did they? Victor Paquette, Independent – My candidacy is about empowering people. I would welcome the opportunity to facilitate discussions, and the transition from an at large system to a ward system of governance. That is my principal goal as mayor of Vancouver. This could be accomplished before the next civic election. Golok Buday, Independent – I support WARDs, no taxation without representation is tolerable, I even had this idea of city advocates carrying borough council votes with a tie breaking vote of the borough to the Mayor who chooses his deputy. Each city/township electing one county representative with a county exec/vice exec ticket elected by winning in most county city/towns beats the appointment as well. The US Constitution formula for enumeration is best for deciding the numbers of councillor districts/wards. The Mayor should win in most of the WARDs to win. Seems complicated this is why a Mayor needs an independent lateral way of thinking. Much of this will take demands of the province. Dubgee, Independent – A Ward system. Gregor Robertson, Vision Vancouver – Vision Vancouver supports a ward system in Vancouver for better neighbourhood representation. 6. How should Council promote civic engagement with youth and other groups that are rarely represented in community decisions and Council deliberations? Menard Caissy, Re Party VanCouver – To promote civic engagement I would legislate and bring into legislate financial law that one per cent of all business not property taxes be spent entirely on free representation of Vancouver’s Voters to hold free yes FREE events at all Vancouver Public Libraries and other locations in Vancouver to both promote their own events and learn from each other but not be sidetracked or not be able to afford a space fee. My lanta friends the amount of space at those libraries that is wastfully unused by anything other than Civic Employees sitting their pretending books aren’t all going onto webpages and downloadable books is appalling. Victor Paquette, Independent – This is the most important question in this survey. Councils should meet throughout the city. Schools are often available during the evenings. Both students and the public at large should be given the opportunity to vote on line on issues that are relevant to their respective neighborhoods or to the city at large. Golok Buday, Independent – I think the individual, not the rabble, should be considered how ever I believe in the right to associate, peacefully assemble in order to offer the Government a writ of grievance. Dubgee, Independent – Start being accountable to these groups and listening. Right now youth voter apathy is so rampant because we (I am under 35) feel like all politicians are going to screw us. So why bother? I believe voters will return to the polls given good options. Gregor Robertson, Vision Vancouver – Vision Vancouver has reinstated citizen advisory committees for a wide range of groups that are not always represented at City Council. Suzanne Anton, NPA – See previous answer – note creation of a Mayor’s Youth Council of high school student presidents to increase participation in municipal government. We will also celebrate our city’ s diversity by designating annual Chinese New Year, Vaisakhi and Pride Parades as official Civic Events and increasing support for community events and neighbourhoods that celebrate inclusion. 7. What are your ideas to improve conditions for pedestrians in Vancouver? How can we bring life to the streets of Vancouver to keep them safe, interesting and accessible for people of all abilities? Menard Caissy, Re Party VanCouver – You want safe streets? Support publicly Bill C10 in Parliament right now, fifty buck to get workers to help me support it is challenging but worth it, and I’d budget 27 Million dollars for 400 New VPD Constables which should bump about 200 to administrational duty or traffic duty. It’s pretty easy to take credit for Bills after the fact but promoting them before is crucial. Victor Paquette, Independent – I often see bikes on sidewalks. I’m certain that that practice is illegal. This law should be enforced. I personally have been hit by a bicycle (on a sidewalk), on several occasions. Skate board venues should be increased and their use discouraged on sidewalks. Golok Buday, Independent – Sidewalks are the traditional way. Definitely you will have safer streets with better quality cops, not more or less cops. Be nice to have bad drivers off the road. Bad mufflers off of cars. Independent mediation in council of all issues. Police kept under control, why is the Mayor not dealing with police complaints? Freedom to think and not be harassed by behaviour modificationists or cops who feel like pushing people around without any law broken. Dubgee, Independent – How can we bring life to the streets of Vancouver to keep them safe, interesting and accessible for people of all abilities? I am not sure of the feasibility of this idea but I would like to see more car free thorough fares such as Granville and Commercial. I do not feel like we can completely legislate safety and we need to balance that with common sense and personal responsibility. Gregor Robertson, Vision Vancouver – Vision Vancouver will build on our priority of pedestrian infrastructure, enhance pedestrian safety by expanding intersection improvements, and lower car speeds in certain neighbourhoods to make it safe for people of all ages. 8. What are your ideas to increase resident’s opportunities for public expression? Menard Caissy, Re Party VanCouver – I would build public spaces in Vancouver that allow for Civic Engagement of voters and younger voters, at some point we’ll have to recognize the cost of retiring seniors in Canada. Past Liberal Governments privately investing seniors pensions my god man, Jane Stewart anybody remember that? 4 Billion dollars. We’re paying for failed Liberal Social Programs. Victor Paquette, Independent – Some years ago, a tv station in the lower mainland afforded citizens to make public comments in a booth of some sort. Perhaps civic administrators could sponsor such a venue for citizens to openly speak to the mayor and council of the day. It would also be viable for the public to access these comments from these individuals or groups. The results of this activity could be most informative. Golok Buday, Independent – A more open permit system for people out to rally. Not fond of marching on the streets. Freedom of thought and speech, the idea of no soap box spot in a town is odd, Town Square or Rant Square. It would have to be fiscally possible. I do want a speech friendly spot. A writ of grievance is a letter. I’d like to see more than the usual blow hard groups get a word in. Dubgee, Independent – First we need to stop red taping Wreck Beach. Wreck Beach is pretty self-policed and a bastion of expression. I would also like to encourage more local artists to create and show their work. I will be pushing for more arts programs for residents of all ages. Gregor Robertson, Vision Vancouver – All of the above.